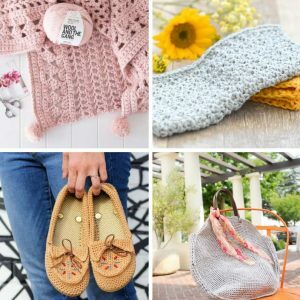 I’m sharing two last minute projects inspired by stuff I saw on the internet. 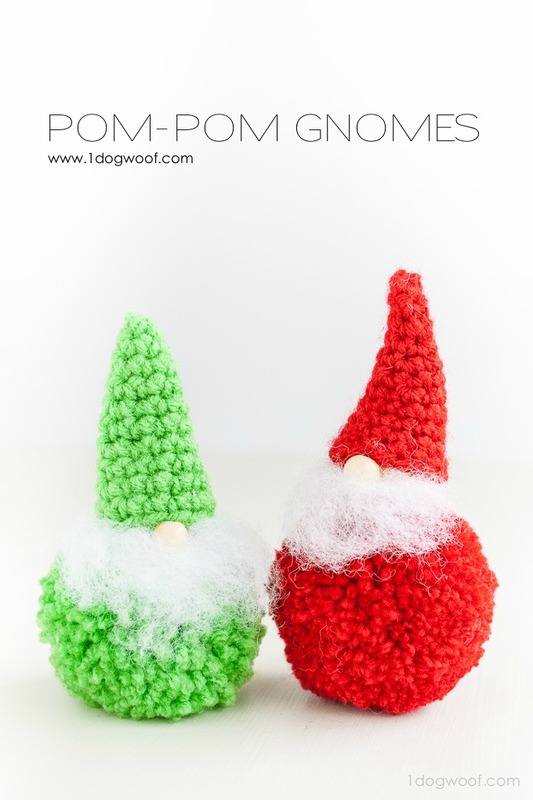 First up are these pom-pom gnomes. 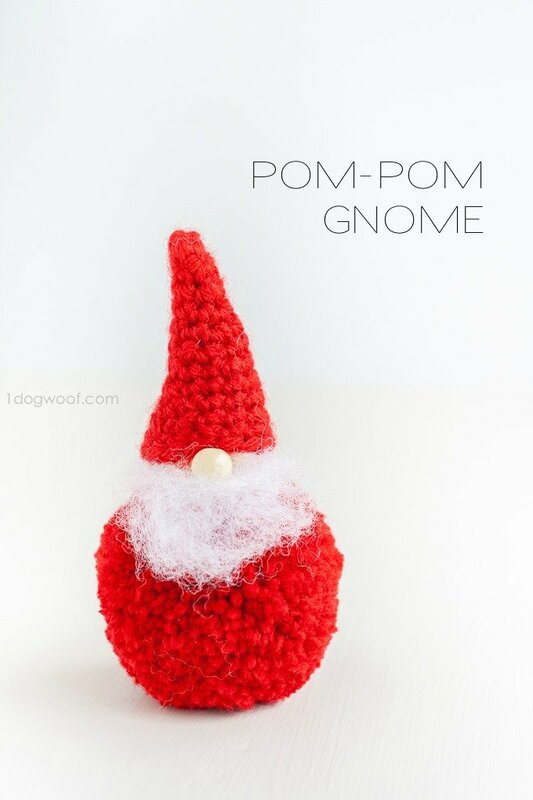 I saw this pom-pom Santa knew I wanted to make my own. The instructions are pretty self-explanatory so I’m going to keep this simple. For the pom-pom, I used the Clover Large Pom Pom Maker that I had bought on a whim a while back. 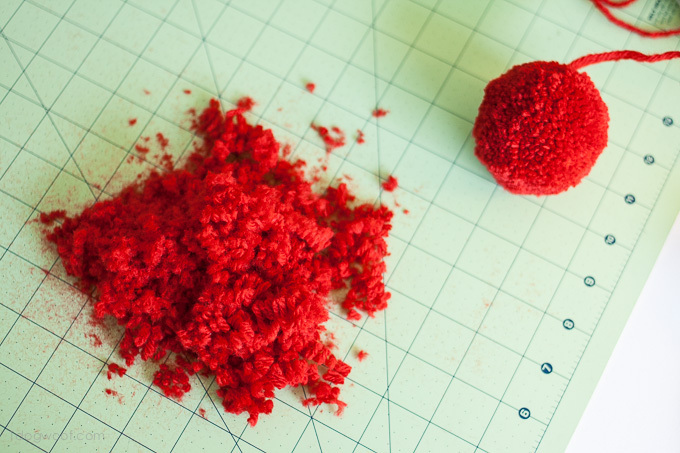 It had been sitting around FOREVAH, so I finally busted it open and tried my hand at pom-poms. The first few were not pretty. I had to check out a video before I learned the secret tip to success. Wanna know what I know? 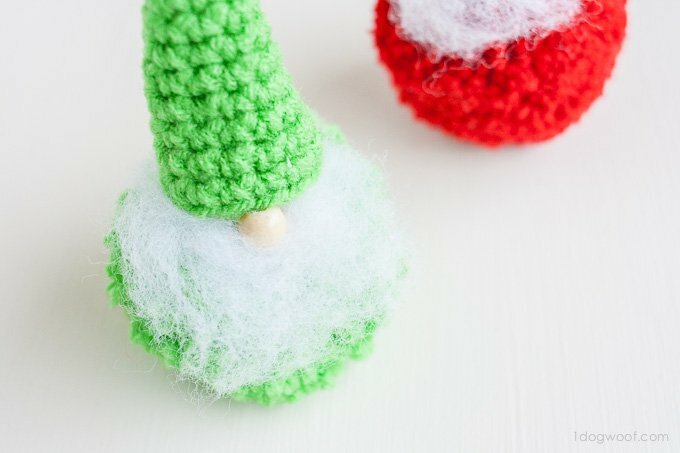 TIP: Wrap the yarn until the arm of the pom-pom maker is a half-moon shape, and don’t leave any space in the inner arch. In other words, over-wrap it. 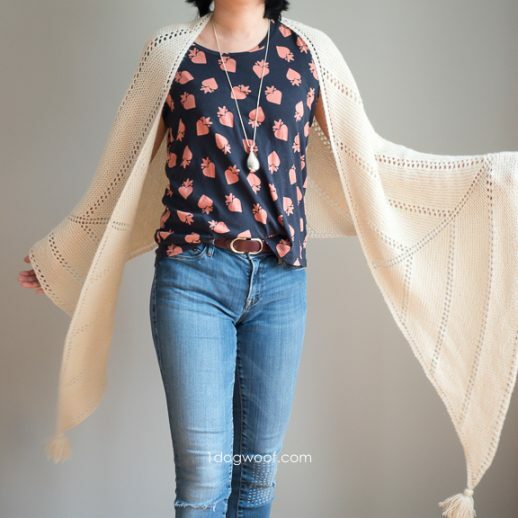 Then, when you tie the pom-pom, it’ll actually tighten instead of leaving a donut hole in your pom-pom. 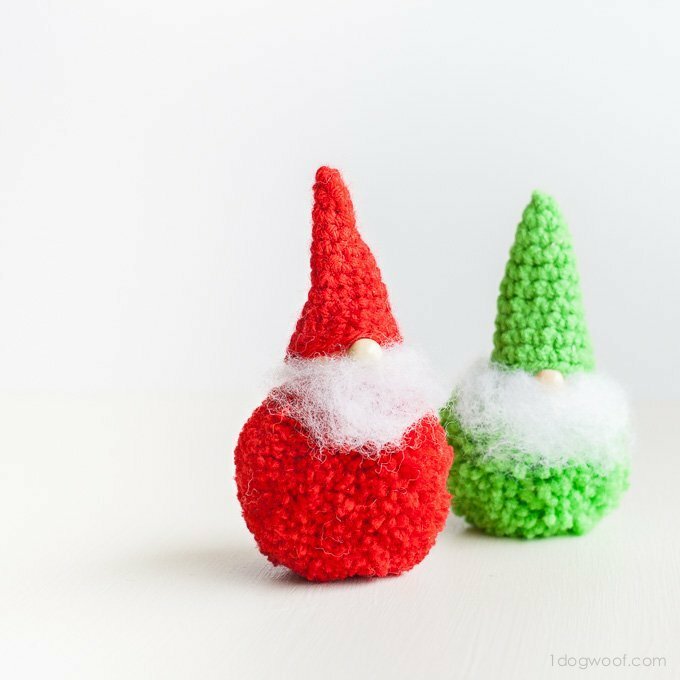 You can see that the green one was a loosey-goosey pom-pom that I had to finagle to get right. Then I overstuffed the red one and it’s nice and dense. 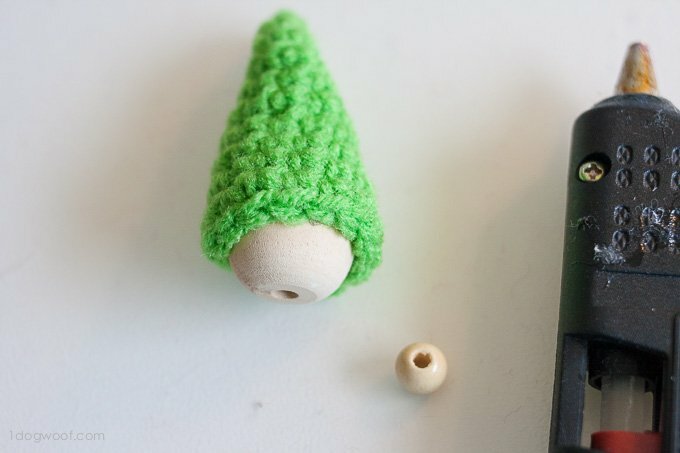 Since I used the large version, the pom-poms I made were too big for the beads I had, so I did a lot of trimming. A LOT of trimming. 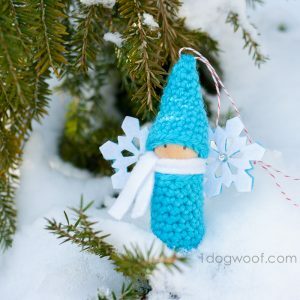 For the head/face, I crocheted the red hat using the pattern from my winter gnome. For the green hat, I used the following pattern. Round 1. Sc 4 into magic circle. Hot glue the hat about halfway down on the 1 in wood bead. Hot glue the 10mm wood bead on as the nose, nestled right under the rim of the hat. 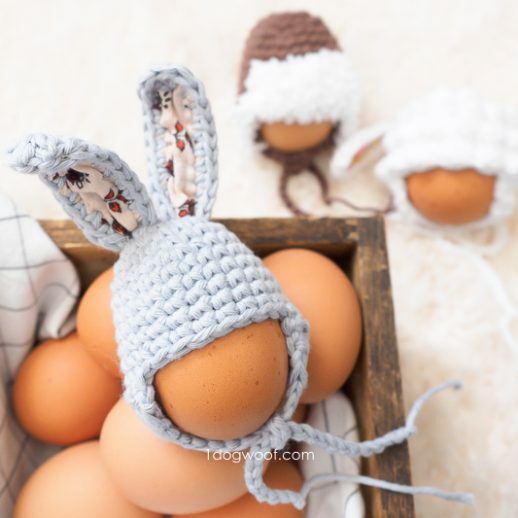 Hot glue the hat/head/nose combo onto the pom-pom you created earlier. 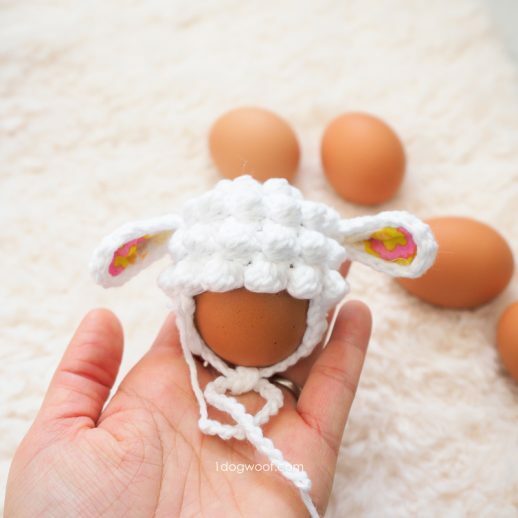 You might have to part the pom-pom a bit to find a good place to glue the head down. 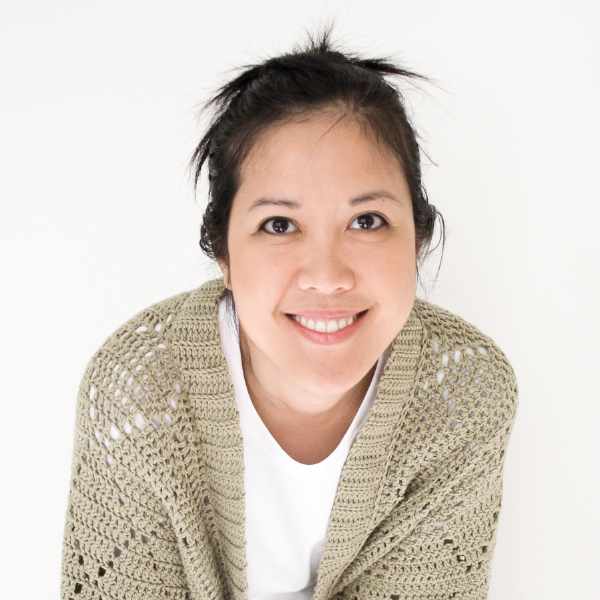 As a finishing touch, pull a bit of loose fiberfill stuffing and glue to the head as a beard. I glued the beard on “behind the ears”, so to speak, so I could adjust the beard in the front to hang out right under the nose. And fluff it as necessary. 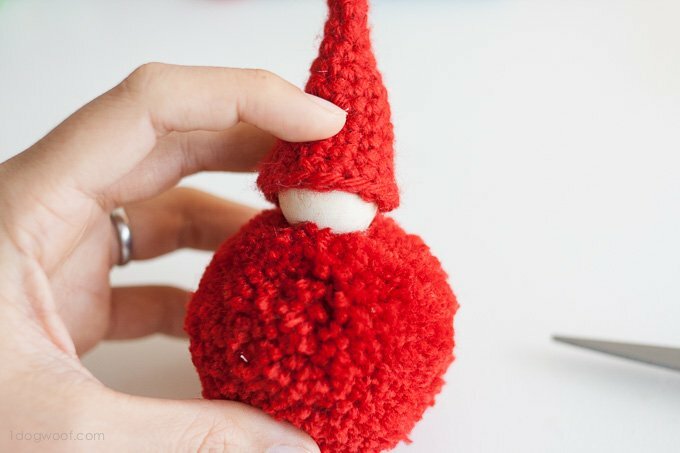 Sew a bit of string through the top of the hat and this doll turns into an ornament! I just LOVE these little fellas!!! Pinned!